Jesus Christ, our Lord and Savior, walked on Earth, teaching and healing and demonstrating for all of us the essence of Love. And for this, He was captured, tortured and murdered in the most gruesome fashion imaginable. He was made to suffer more than any person before or since. It was the greatest crime in the history of humanity; the created slaughtered the Creator, and He offered no resistance. 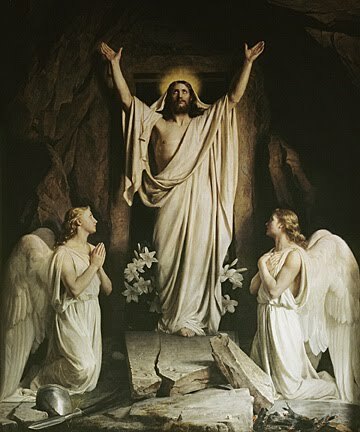 But this tragedy led to the ultimate triumph: He rose from the dead, conquered sin and opened up the gates of Heaven. Before He ascended, He entrusted the Truth of human salvation to a small band of poor, simple, ordinary men. He told them to travel throughout the land and preach the Gospel. He promised them persecution, suffering, and death, and they received it. He also promised them eternal salvation and happiness, and they received it.